Scorpio influences everything that has to do with secrets, fears and trust. Pluto and Jupiter represent a strange combination. You feel the need of discretion; therefore secret meetings and activities might be associated with this relationship. A third person might interfere between you two. You feel intrigued by the mystery of this relationship. At one point you might feel disappointed and could actually disappoint yourself. When involved in a relationship with a Scorpio, you might meet different people and different situations like you would want them to be. For those around you, you appear distracted. It's when reality is emphasized and it might ruin everything. You won't get anything for free when in a relationship with a Scorpio. The sooner you get to this conclusion, the better. You have to deal with an illusion in this situation. What's missing is a solid foundation. If you see things from an objective and realistic point of view from the beginning, everything will be just fine. 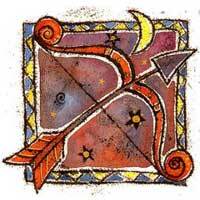 When money is concerned, you make a good partner for a Scorpio, who offers you advantageous information. When in a relationship with a Scorpio, you see things as if you lived behind the scene. He might be a good influence for you if you work in the audio-visual domains. 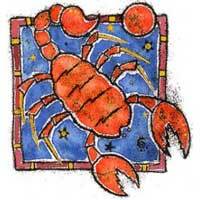 Scorpio is also good in what fund-raising for charity is concerned. When it comes to helping others, you make a good team with your Scorpio partner, but when working for your own benefit, you might encounter difficulties. Your relationship abounds in intrigues and it's up to you two how far you'll get and how long your relationship will last.